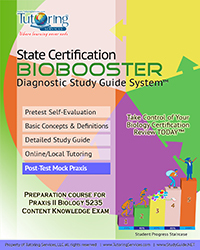 Our BIoBooster Pretest Self-evaluation is your first step in preparing for your Praxis II, Biology 5235 Content Knowledge Certification Exam. 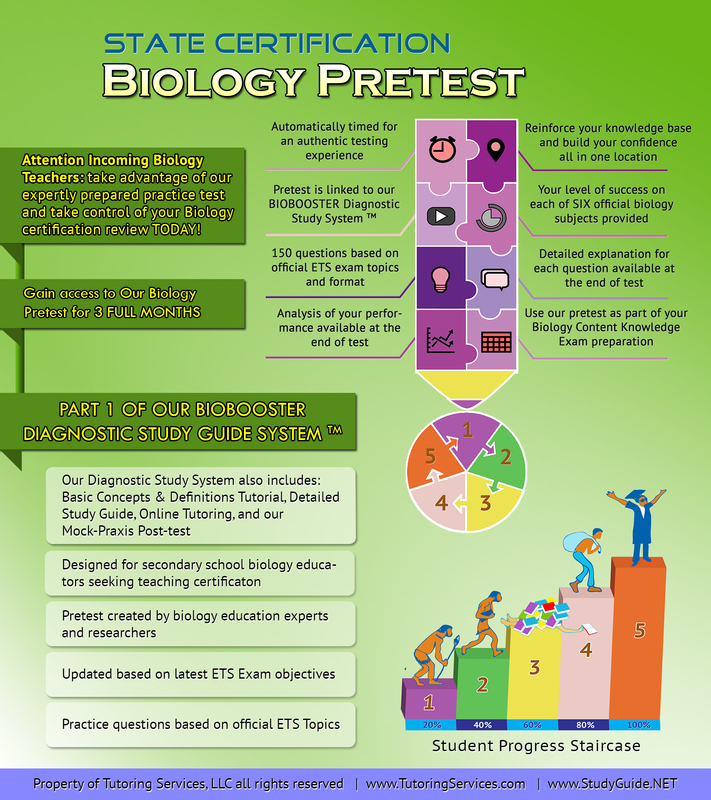 Developed and offered to you by the educational professionals at Tutoring Services, LLC, our BioBooster Pretest Self-evaluation was created by biology experts to ensure that the topics and content you need to review are presented in a realistic format. The Praxis II assessments are teacher certification exams administered by the Educational Testing Service (ETS). Each state requires a different combination of Praxis II exams for certification. Your state's board of education may require content knowledge and pedagogy exams. To learn more about your state's testing requirements, go to www.ets.org/praxis/states. 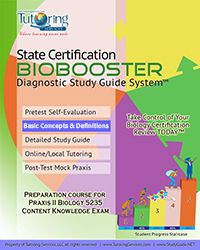 Now you can prepare for your Praxis II, Biology 5235 Content Knowledge Exam with ease using our BioBooster Pretest Self-evaluation. Our pretest can help aspiring biology teachers, just like you, gain the confidence you need to tackle your certification Exam. Our BioBooster Pretest Self-evaluation includes 150 questions of the type and format that you might expect on the actual exam. Each question has been researched by our biology development experts to provide you with the same accurate and challenging content that you might expect on your certification exam. Too, our BioBooster Pretest Self-evaluation is automatically timed which provides you with a realistic testing experience. Finally, to help you even further as you prepare for your certification exam, each of our 150 BioBooster Pretest questions includes a detailed explanation (accessed after you complete the timed pretest). How many questions does our pretest contain? Our BioBooster Pretest Self-evaluation includes 150 questions of the type and format that you might expect on the actual certification exam. Each question has been researched by our biology development experts to provide you with the same accurate and challenging content that you might expect on your exam. Is there a time limit on our pretest? Our BioBooster Pretest Self-evaluation is an automatically timed event to provide you with a realistic certification testing experience. Like the actual exam, our pretest has a 2.5 hour time limit. How should you use our pretest? Our BioBooster Pretest Self-evaluation is presented as a mock certification event. You should approach our pretest as though you were sitting for your actual certification exam. 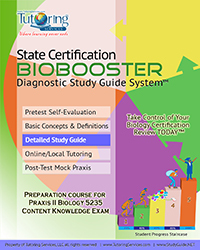 Use our BioBooster Pretest as a first step in evaluating your general biology content knowledge. Our pretest should provide you with an idea as to your areas of mastery and/or deficiency with regard to general biology basic concepts and definitions. After completing the pretest and reviewing your score, you should have a general idea as to the direction of your further certification exam preparation efforts. What is the purpose of our pretest? Our BioBooster Pretest Self-evaluation is your first step in evaluating your mastery of general biology concepts and definitions. Your score on our pretest will provide you a benchmark of general biology content knowledge and a starting point at which to focus your certification preparations. Our pretest represents Part I of our BioBooster Diagnostic Study System which is designed to help you improve your score, reinforce basic biology concepts and definitions, and prepare you for successfully completing your certification exam. 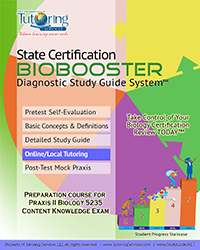 Our BioBooster Pretest Self-evaluation is but your first step in preparing for your biology certification exam. 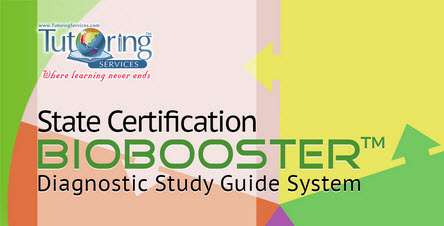 We recommend the optional purchase of our entire suite of BioBooster exam preparation tools. Our complete BioBooster Diagnostic Study System includes: our Pretest, our Basic Biology Concepts and Definitions package (downloadable 1000+ slide presentation), our Detailed Study Guide (complete with memory hints, study tips, and video tutorials), and our Mock Praxis II Post-test (the perfect complement to our pretest). We also offer several Online Tutoring Packages and Self- Guided Video Courses (all purchased separately). Click on the Pricing Options menu below and chose Pretest Self-evaluation. You will be automatically linked to our secure purchase page where you can pick up your copy of our Pretest Self-evaluation. You can pay using your Paypal account or your favorite major credit card. As soon as your payment is verified, Tutoring Services, LLC will send your electronic copy of our Pretest Self-evaluation. Our pretest is easy to download and easy to use. Best wishes on your Praxis II Biology 5235 Teacher Certification Exam from all of us at Tutoring Services, LLC and studyguide.net. And remember: When you succeed, we succeed. You can also email us from contact form below this page before you buy your practice test and ask any clarification questions that you may have. Head to the Pricing Options Menu Below and Grab your Pretest Self-evaluation now. Don't Wait. Get Yours Now.